Alzheimer’s disease is one of the greatest medical challenges facing the world today, It has no known cure and the cause of the disease is yet to be firmly identified; expert are working tirelessly on ways to help prevent, treat and ultimately cure the disease. The good news is that experts have uncovered some potentially helpful NATURAL ways to prevent and possibly delay the progress of Alzheimer’s disease.It was discovered that diet can play a very important role in preventing or slowing down the progression of the disease. If you want to investigate the different type of diets, exercises or activities that can help ward off or slow down the progress of the disease or you want to talk to us as a carer of someone who has dementia disease, then this information day is for you!. We would like to thank all the people that contributed to the success of this Flash Mob video. Declan Cassidy video Production, John Shanagher video editing. Scotch Hall Shopping Centre Drogheda and the Drogheda town Centre for allowing us the use of their facilities in the making of this video and to everyone else helping us to create awareness about the work of Disrupting Alzheimer’s Project. To donate to the project please follow the instruction at the end of the video. Aside May 13, 2016 disruptingalzheimers dementia, LMFM, interview, nutrition. Martin Fitzgerald Chinese Medicine Herbalist and Research Development Scientist along with Christy Fleming of Disrupting Alzheimer’s interview on LMFM radio. A diagnose of early onset Alzheimer’s is rare but when it does happen the news is shocking and devastating. Because it is so rare for adults under the age of 65 to experience any kind of cognitive decline, early onset is often misdiagnosed. Approximately 95 percent of people with Alzheimer’s first develop symptoms at 65 or over.Of the remaining 5 percent most first have symptoms in their 50s, although in rare cases the condition develops in people in their 30s or 40s this is according to the Mayo Clinic. In Ireland alone it’s estimated 47,893 people are living with Alzheimer’s or related dementia, and 4.400 of those have early onset AD, this number is expected to increase to 140,000 by 2041. Disrupting Alzheimer’s as part of the charity Home Safe Home Elderly Security Chy No20431, was established by Christy Fleming after a family member was diagnosed with early onset Alzheimer’s disease (AD) at the age of 54. 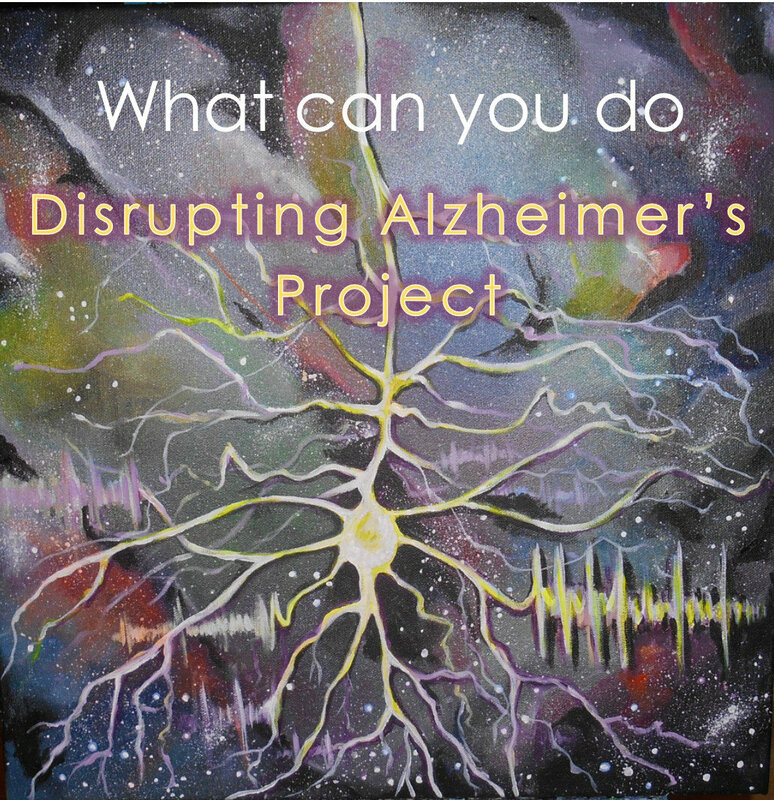 The project is committed to researching developing and implementing new strategies that support independent living for those effected from Alzheimer’s and other neurological diseases. As part of an awareness campaign to highlight the disease the group had a photo shoot with legendary Wolfetones balladeer Derek Warfield who now fronts the band Derek Warfield and the young Wolfetones, the band were playing at the Barbican on Friday night last providing an evening of traditional musical entertainment to a captive audience. Derek took time from rehearsals to pose for a photo with some of the Disrupting Alzheimer’s team. In the photo are Barbican Manager Declan Power, Catherine Traynor DA volunteer, Derek Warfield Wolfetones, and Christy Fleming all wearing the DA tea-shirts and giving the thumbs up to the proposed information and awareness seminars that the Disrupting Alzheimer’s project plan to run in the coming months at the Barbican and other venues throughout the country. The project has enlisted speakers such as Martin Fitzgerald Chinese Herbal Medicine Practitioner and Research Development Scientist, Bernadette Bohan author of seven help books and cancer survivor along with Sr Bernadette Sweeney inspirational speaker and advocate with the Memory Lane Choir Crumlin and Tomas Ronan Holistic Therapy and Nutrition. We were at the Alzheimer’s information day last Thursday at the Westcourt hotel in Drogheda . On the display were samples of healthy foods and Games that help promote a Healthy mind and stimulate the brain.